On Pinterest (the treasure trove of recipe searches, as you all well know! ), I came across this gem from Marie at Proud Italian Cook. Any woman who subtitles her blog “Home Cooking: Italian-American Style” should be a friend of mine, and this recipe certainly was. It was a delicious and, frankly, easy-peasy way to incorporate oodles of wintery veggies into a filling and surprisingly nutritious dinner dish. 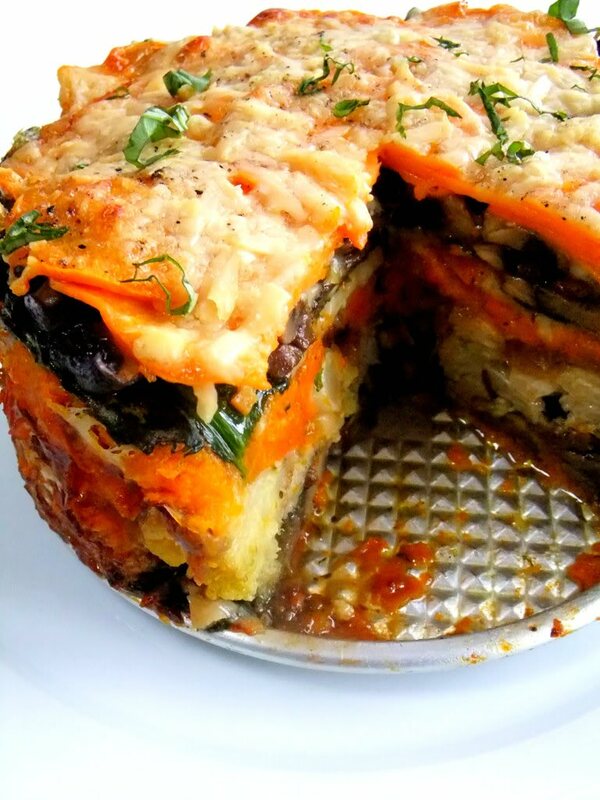 Layer veggies with cheese in between. The best part? You can make this dish seasonal by using of-the-moment veggies. Making it in winter, like I was? 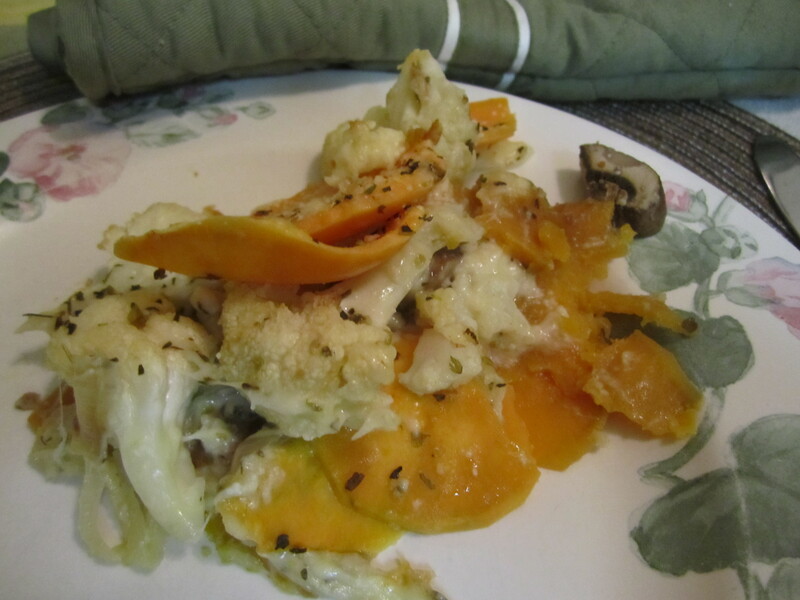 Use sweet potatoes, cauliflower, dark greens, and root veggies. Summertime? You’ll have your pick of zucchini, tomatoes, asparagus and more. You can even switch up additional seasonings by using lemon zest and basil in the summer, and oregano, thyme and rosemary in colder months. Yummo! Image sourced from prouditaliancook.com. Nommy Nom Nom. PS Marie’s blog is awesome. Go read it. And go cook her tasty recipes. You won’t regret it! NOTE: This recipe would benefit from having a springform pan. I made my “torte” as a rectangular casserole, using … a rectangular casserole pan. A little less torte-shaped, but still molto bene. Preheat the oven to 425°F. Spray a spring-form pan or 13″ x 9″ baking pan with cooking spray. To create the torte, simply layer veggies from bottom to top, starting with sweet potatoes, followed by single layers of each veggie. Sprinkle cheese between layers (I like to add Parmesan as well as mozzarella here). Top with additional cheese, herbs and some salt & pepper to taste. Cover lightly with foil. Good, hearty food for a cold Lenten Friday. Or, frankly, for any night of the week. Enjoy! What are some of your veggie-heavy recipes? Ever try something like this recipe before? Are you folks fans of Italian-style roasted veggies, or do you like other preparations?